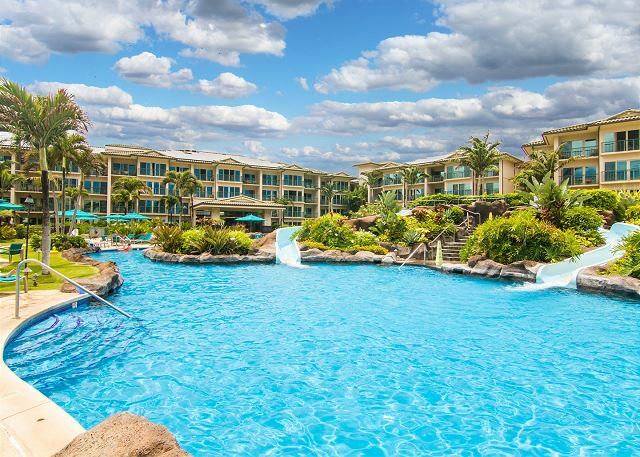 This resort has all the modern-day amenities that you would expect in a Five-Star resort, including a lazy river-style saline pool with two water slides, three sandy bottom Jacuzzi spas, and children's sandy beach pool. Exquisite tapas style cuisine at Oasis on the Beach Restaurant and Spa by the Sea Day Spa services are located on-site. Across the street from Starbucks, grocery stores, outlet shopping and restaurants. 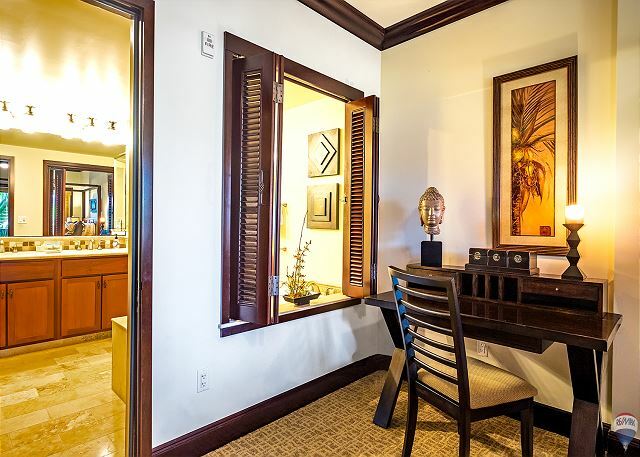 As a guest at Waipouli Beach Resort D-309 & RE/MAX Kauai, you'll have access to Kauai's Premier Concierge Service at (855) 665-2824 http://kauaiva.com/index.html, we will help you build your perfect vacation. I had a great stay at the Waipouli Beach Resort. I loved my condo. The living spaces were great...the kitchen was stocked with all the appliances/items I needed, both bathrooms were beautiful and spacious. The property itself was great and kid friendly. The pool with water slide and water fall was a hit with the kids, as well as the splash pool for my 18 month old. The Oasis restaurant was quite tasty. There was walking access to the complaints here! There was a grocery store literally across the street in walking distance, a Starbucks, this Coconuts Restaurant that I literally went to EVERY SINGLE DAY, a convenience store for gifts and a Ross!!! 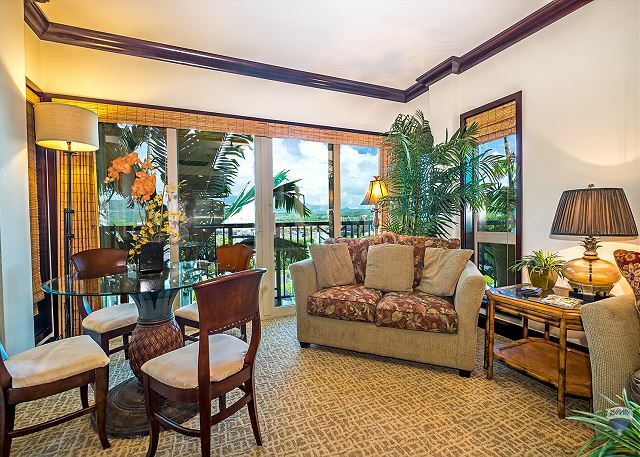 I had a great experience with the condo from Remax Kauai. The condo is in perfect clean condition and location of this condo is very good. It's in between Princeville and Poipu which makes it easier to visit both places. The condo is right across from a shopping plaza which has Safeway and many different restaurants, that makes everything so much easier! Remax Kauai staff are very polite and responsive, would love to stay with them again. Unit was stylish and clean. We would stay again! A king and a full bed. Nice sheets. The only issue with this property is the traffic. Crazy slow for the two miles coming towards and going away from when exploring other areas of the island. Staying put was lovely. Pool and ocean views -spectacular. The whole process was pretty easy, booking, check in and check out. Beautiful large 2 bedroom unit, well maintained. We had some minor issues,such as a broken toilet roll holder, and it was fixed within a day! Great customer service! Sheets on the master bed had a small stain and a small rip. In the master bedroom, you could hear some kind of fan. It was loud, but only turned on for short periods of time. It did not bother us. One thing that was NOT clear to us was that all the buildings are inter connected on each floor. As we had rented 2 units, we could walk from D building to E building internally. That was a big plus! The pool is beautiful. The beach has rocks and sand and the waves are rough, but it's beautiful. The resort is gorgeous, clean and felt safe. The location of the resort is fantastic. Right across from the Safeway/Starbucks/ loads of good restaurants, and other shopping. 35 minutes to Hanalei, 1.5 hours to Waimea. Not too far from anything. 10 minutes from river kayaking and amazing hikes. The room itself was in very clean conditions. The room’s amenities were great with everything we needed during our stay. The location of the resort is awesome with two grocery stores and other shopping right across the road. Plus the resort is located right at the beginning of the very nice 8mile concrete walkway next to the beach. Pool is very family friendly but quite busy. Overall loved the unit and resort. No issues at all with checking in or out. Great resort. Condo was spacious and clean. Good central location. We stayed at D309. 2 bed and 2.5 bath property. Place is very spacious and clean. The second bedroom is a bit dark though. Resort itself is very nice as well. The pool is perfect for kids and they have 4 big jacuzzi. It is also not crowded which is great. I have stayed at other resorts and jacuzzi was always crowded with people but not here. The only complain I had is the location. The intersection to get out of the resort heading south is horrible. Took 20min to just get out of that intersection because there was only one lane. The condo absolutely blew us away! It was large, clean, very nicely decorated, and had everything we needed. The resort was amazing. We spent every early morning on the lanai, and were in the pool/hottub every night. The restaurant was fantastic as well. We walked along the beach every morning and came across a monk seal several times lounging on the beach. They are endangered and it is rare to spot them so that was a real treat. 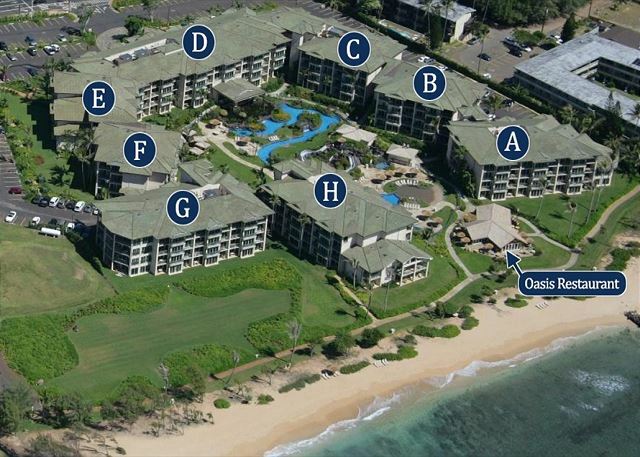 We love Kapaa as it is centrally located on the island, and the resort is in the middle of it all. We would definitely stay here again. Mahalo! Great location and beautiful pool area. Unit was exactly as described. Beach was also great, even though it’s not for swimming it’s still enjoyable and my son spent hours making sand castles. Remax was easy to deal with and very responsive. Mahalo! Good rental. Very modern. Great appliances. I will have to get a dishwasher like this for my own home. Would stay again. This place is very conveniently located. Excellent pool and nice restaurant. I would like to come back and stay again at next Kauai vacation. Rental experience was easy. 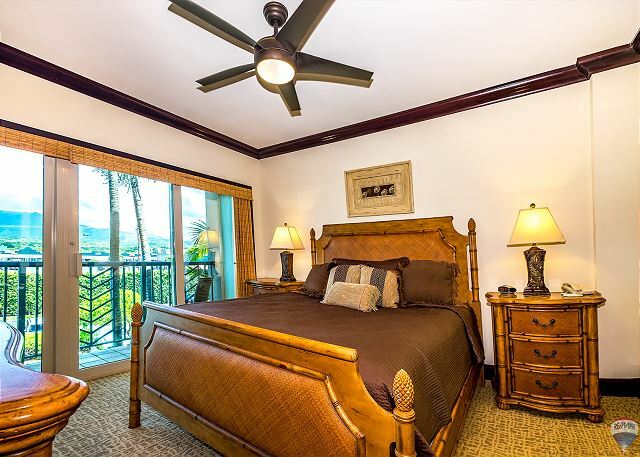 Remax Kauai gave detailed instructions and seemed to be readily available to assist if needed. We did not need to contact them. The unit was very nicely furnished and had everything we needed. Comfortable beds. Kind of thought the signs were strange about being charged if you stained the towels. But that wasn't an issue for us. Ensure you Check all Available Units for Best Fit for You! Robert W from Cochrane, AB does not recommend this vacation rental. We spent 3 of our 10 nights in this unit due to a small maintenance issue in our original unit. We enjoyed the property in general but would not recommend this specific unit. The unit had most of the same amenities as our original unit C105. A few things that we definitely missed from our original unit. Bearing in mind that we were offered an adjusted rate for changing units. This unit had no ceiling fans in the bedrooms which really helped with air circulation in the other unit. The air conditioner seemed to rely on a motion sensor of some sort at night. This resulted in the unit turning off around 5am each morning and would automatically kick back in when we entered the living room/kitchen area. It got really uncomfortable without the ceiling fans or the A/C staying on all night. Unit was fairly well maintained and clean with the exception of stains/splashes on some of the bathroom walls which needed more cleaning attention. Noise from the road off the balcony was also a downside. It was quiet in the evening but really got noisy at peak traffic times especially the early am. 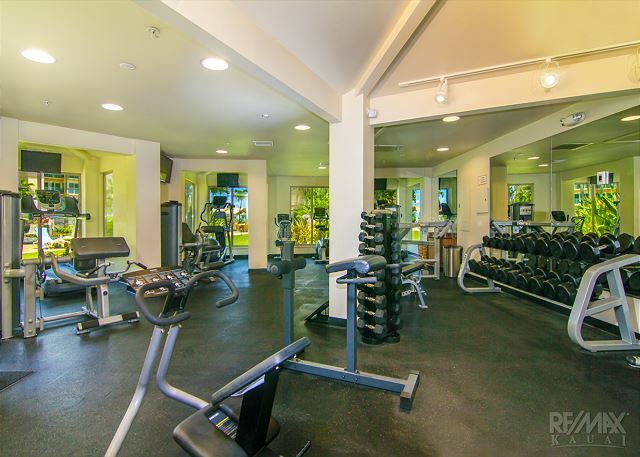 Rest of the amenities on the property met or exceeded our expectations. Kids really enjoyed the pool area. Restaurant on site has mixed reviews online but we found it to be exceptional. A few of the building exteriors are in need of repair/refinishing. 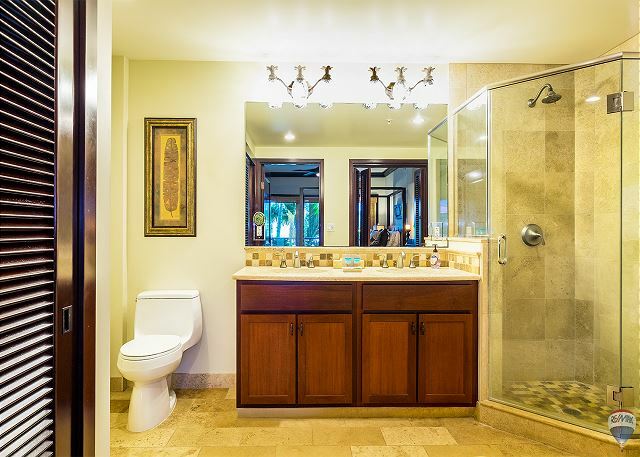 The folks at Remax Kauai were attentive to our needs with regards to issues we had in our original unit. Mahalo! WE ENJOYED OUR STAY.MORE LIGHT IN THE CONDO WOULD BE HELPFUL. Nice appartments, restaurant on site. Supermarket across the road. The only negative was the restaurant not open for breakfast. Great place to stay. Right by two grocery stores. Lots of rooms and bedrooms are on opposite sides of living room so there's less noise. 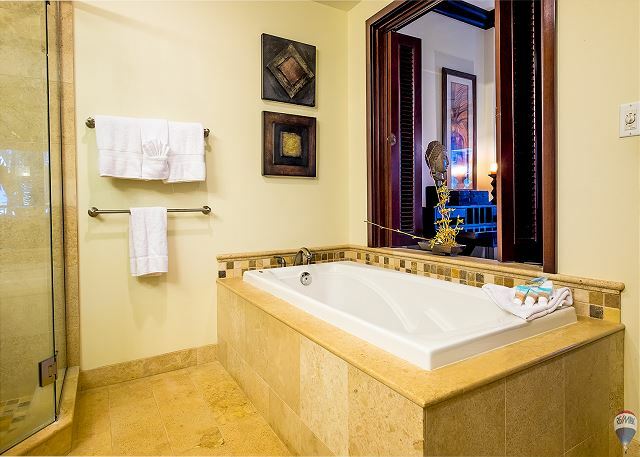 Both bathrooms have very nice baths attached. Kitchen is very nice. Laundry in unit. We had everything we needed to cook meals. The resort itself is very nice, and nice pool. Great condo for family vacation! The Waipouli Beach Resort condo was great! The facility and pool was great! The restaurant, bar and spa was great! We had other condos in the facility for family so it worked out perfect to all be in the same resort! Was disappointed that the cleaning crew was standing at the door at 9:59 am telling us to leave. Was even more disappointed that we left a drawer full of clothes: swimsuits, shorts, underwear, etc that was thrown away in less than we were told. We left on a Saturday. Sunday the ReMax office was closed. We talked to someone on Monday and was told the clothes were put in a bag and thrown away. Who would do this?? Why would you not allow a guest to claim property they didn't intend to leave in a condo? 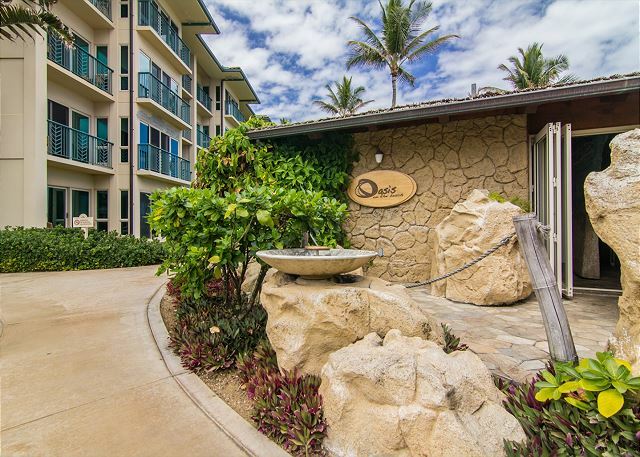 If it wasn't for the cleaning crew and the discarding of clothes without allowing us to claim them, the remarks would all be 5 stars but since that is the last thing we remember about Remax and this condo, we have a sour taste in our mouth about them, but not for Waipoili Beach Resort. WBR is AWESOME as well as Kauai in general!! Nice condo, but too many rules. a guest from Poland, ME does not recommend this vacation rental. We had a great time here, the condo is great and perfect for a party of 4. However, the stay was complicated by the many rules written on notices all over the apartment: kitchen plates were not allowed in the dishwasher and needed to be hand washed (mahalo), fridge door had to he closed at least 10 seconds before opening again (mahalo), no food into the food compactor (mahalo), turn off the lights and air-conditioner when leaving for the day - we will charge you if the electrical bill is too high (mahalo), white towels had to be spotless and washed on check-out to avoid an extra charge (mahalo). There were also instructions for how to use the toilet, the stove, washer and dryer, warnings to not sit in the furniture with sunscreen on, no shoes allowed inside, carpets and bedlinens were to remain spot-free to avoid extra charges (mahalo); the list seemed endless. As responsible renters, we found this overzealous, annoying and restrictive. Our friends rented an identical condo from another company in the same building which came with the simple instructions: 'on check-out, return the pool towels, turn off lights and air-conditioner. Have fun!' We would definitely return to Waipouli and the many great atttractions of Kauai, but would choose another condo to stay in to avoid the nuisance of reminders, rules and warnings at every turn. This was a rental that was much better than we thought it would be. It was new, modern, clean, and well equipped. We really enjoyed the resort area and found it to be the same. We would not hesitate to recommend this place to anyone. This place is great. Very nice unit. no problems at all. Kids loved the pool and the waterslides. 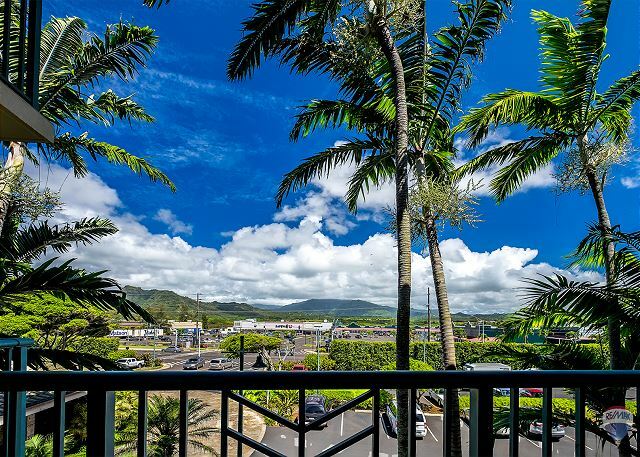 Great little condo unit in downtown Kapaa. Right opposite are great little eateries and supermarkets. The unit was well presented and comfortable. The room's and bathroom's were spacious and clean and very nice. We had the best time in Kauai and have no regrets about our choice in resort. We loved it so much that we are already planning our next trip and plan on staying at the Waipouli again! Overall the stay was amazing! We loved the hotel and the pool. But as for our room, There was this beeping nose that kept going it was the fire alarm the battery was dying. Plus the shower heads wasn't strong enough. But just those two things that was bad but other than that the room was very beautiful and clean. Thank you for everything! We will come back again. Had a good 10 day stay although weather was a bit rainy at the hotel. Always able to find sun somewhere though. Needs a new couch and chair in living room as very uncomfortable. Waipouli is without a doubt the best place to stay on the island. We have been here several times and will be back again as soon as possible! Aloha and Mahalo! If you have 4+ in your family this is a excellent choice for your stay, even though you can't swim at the beach there are two awesome beaches north and south of the property. This was my second time staying at this complex. I enjoyed my stay here it's a beautiful place. Some of the furniture needs to be replaced...arm chair,couch and bed mattress. My wife and I were very pleased with the room, the service, and the rental management people. We have used ReMax Hawaii for years and would use no other because they are consistently the best in every area! Waipouli beach resort is ideally located to explore all that kauai has to offer, close to shops and restaurants, and the pool is amazing. Unit d309 is beautifully decorated and the living area is very comfortable. Our only complaint is that the beds are uncomfortable, especially the pullout couch. Out unit was very nice, clean and well appointed. The resort was built with high-quality materials in general and even though you're 'in town', you get the sense you've escaped once in the resort or on the beach. The unit (D-309) does not have a remarkable view, but for the time you actually spend in the room and money saved it is very comfortable and has all the amenities. To not have free Wi-Fi anywhere in the resort is the only complaint I have. Resort and room very nice. Would have liked a better view but overall was great. 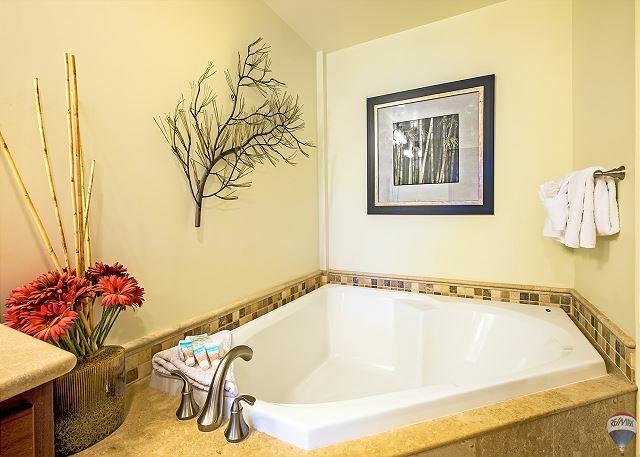 Property has warm welcoming staff and condo has everything you need to accomodate family and friends. I would recommend it to anyone staying on the island for longer than a weekend and having the convenience of being at home, but mor. The pool and bar are a real treat, especially for kids. We had an incredible time and the location could not be better for families. Stayed 28 days February 2011. We have been visiting Kauai for many years and this is our best experience yet. The Waipouli was perfect! Our gorgeous two bedroom condo did not have an ocean view, but we did not care as we spent most of our time outside and when we were inside we were surrounded by the luxury that is D-309. The grounds were impeccably maintained and the pool area was so fantastic that we did not feel the need to travel to other beaches very often. We were able to watch whales jumping and of course sunbathe at our beach. Angela and the staff at Remax made our experience even more pleasant with their friendly approach to my every email or phone call in regards to making reservations, thank you v much. We had the best time and highly recommend Remax and the Waipouli. We would like to add a special thank you to the owner(s) of D-309! This condo receives an A+ rating. It was very clean and we had a wonderful time over the Christmas holidays. The property manager was most helpful as I planned our stay in Hawaii. a guest from westminster, co does not recommend this vacation rental. 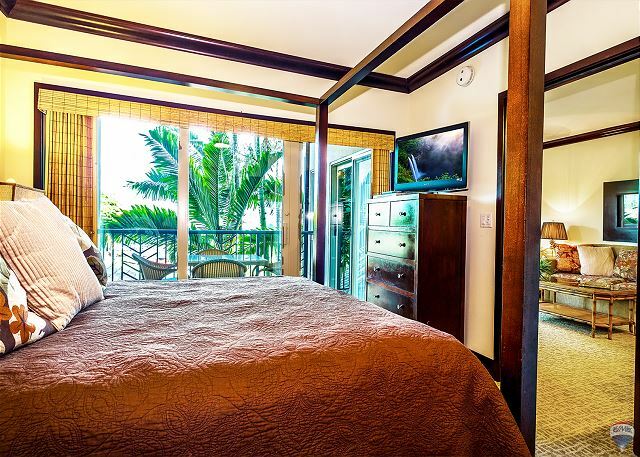 Waipouli Beach Resort is billed as a 5 star luxury resort. The only Luxury is currently within the condo unit itself. The unit itself is spectacular, except for the rollout sofa bed. The mattress is so thin the bars below stop you from getting any rest. The resort has gone into foreclosure by the bank. Thus, the spa, restaurant, bar are closed down. There was a concierge there a couple days, but not on a regular basis. The front desk treats you like a pest once you tell them you are renting via ReMax. The security staff is your ReMax interface and they were excellent help. The Pool is nothing like brochures play it up to be. The sand bottom pool has such course rock you cannot walk through it. The lazy river is without any floating tubes, so it is of no fun to the kids. The staff does not allow any play tubes or balls in the pool, so the kids were disappointed. The restaurant is closed down, so there is not any poolside food or drink available at the pool. 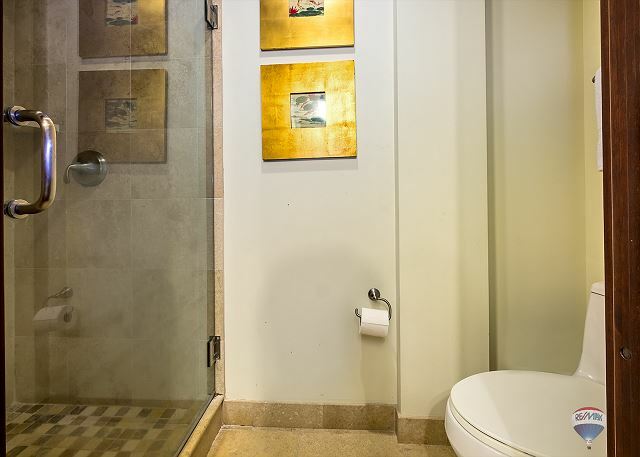 We chose this rental based on the fact that it was rated as a newer five star resort with a lot of amenities above those of local competition. It is not currently true. I would do more research to see if they have replaced all the missing amnities before renting here. I highly recommend the Waipoulli Beach Resort. 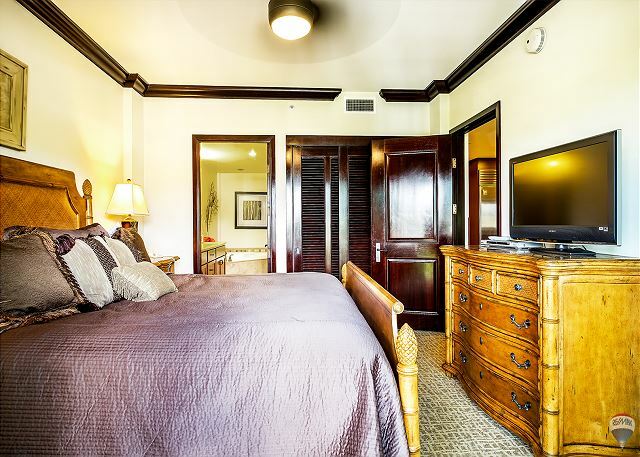 The condo was absolutely beautiful; it was spacious, comfortable, and conveniently located close to the airport, shopping, and other activities. The pool was also great, for kids and adults alike. Also the spa was wonderful. We recently held our daughter's wedding in Kauai and could not have asked for a better place to stay. The condo is just beautiful and had everything in it that you need. I could not find an iron but soon located it in one of the bathroom closets. We just could not be happier with our accomodations. We were just minutes from the beach where they said their vows; the spa,(for her hair and makeup on the wedding day) was steps away from our room; and across the street we found stores that fulfilled our every needs. The Safeway store is handy but a little pricey. You can do better at other grocery stores nearby. The drug store across the street is great! Our only regret was that we did not make arrangements to stay longer. We would love to return. We highly recommend this for anyone visiting Kauai, HI., Very good location and helping managers. We loved the place but were disappointed that the sofa bed was so bad our children had to sleep on the floor. That was very disappointing. Overall though, it was as described online. Our unit was very nice and the best part of our stay was the great bartenders and wait staff at the beach bar/restaurant. Our only complaint would be that the diswhwasher was broken and could not be fixed during our stay. Resort is in a nice location, especially for traveling around the island. Rooms were wonderful, very nicely furnished and very clean. However, wouldn't want to stay again unless oceanfront room was available, we had mountain view and noise from the street was way too loud. Thought the food and drinks were pretty expensive too for what you got.